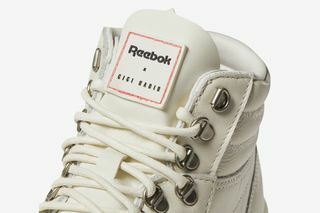 Key Features: The Freestyle Hi comes in both black and white and features a ridged outsole, leather upper construction, and Reebok x Gigi Hadid detailing on the tongue. 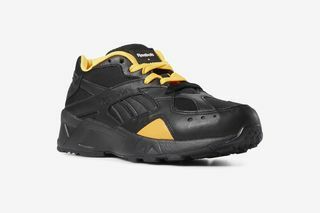 The Aztrek comes in black/yellow and white/red and features a leather upper, chunky midsole, and co-branded detailing on the tongue. 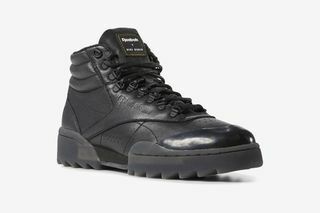 Release Date: Available for pre-sale globally on December 7. 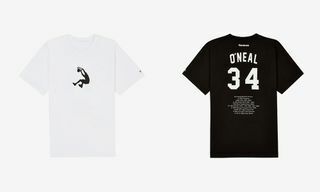 The full collection drops February 2019. 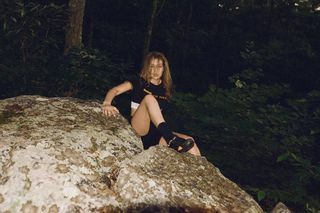 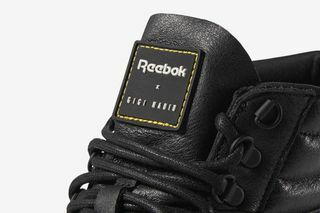 Editor’s Notes: The next chapter in Gigi Hadid and Reebok Classic’s longstanding partnership is a capsule collection comprising both footwear and apparel. 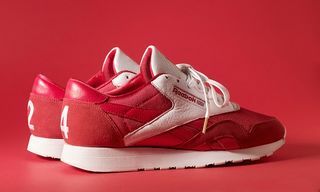 The footwear part of the collection is made up of the Freestyle Hi Ripple Nova, a shoe that first released in 1982 and was the first fitness sneaker ever designed explicitly for women, as well as the Aztrek, a recently relaunched silhouette. 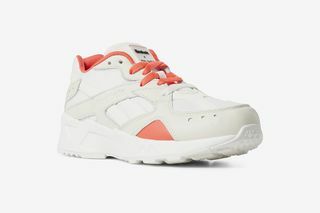 Both pairs come in two colorways, the Freestyle Hi keeping it simple in monochrome, while the Aztrek takes cues from the neon color pops of the ’90s. 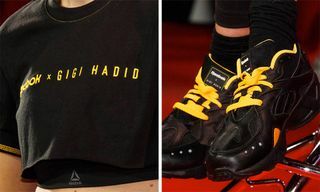 “This collection is about looking at the past and reinterpreting that creative boldness for today, for women who define their own style boundaries and aren’t afraid to challenge convention,” says Hadid. 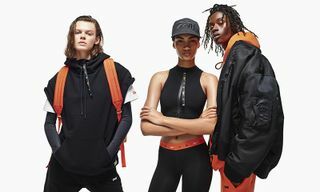 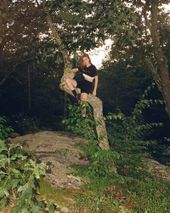 “I wanted to take classic Reebok clothing patterns and shapes and incorporate new cuts/crops, fresh colorways and fabrics/fits that I knew would be comfortable to workout and sweat in. 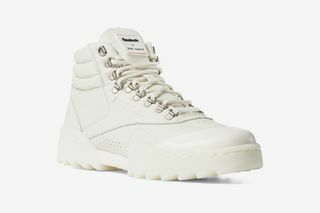 The footwear can be pre-ordered now online at Reebok.com, while the rest of the collection drops February 2019.